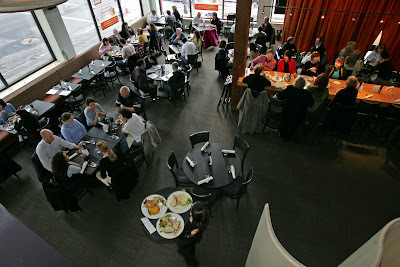 The James Beard Foundation today announced nominees for the 2011 James Beard Awards at a luncheon in the Oregon Culinary Institute in Portland, the birthplace of James Beard. Winners will be feted May 9 in NYC, at the annual awards ceremony and gala at Lincoln Center’s Avery Fisher Hall. 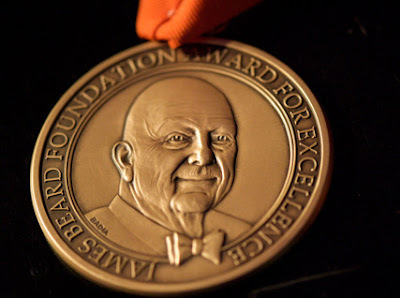 The full list of nominees in all award categories, as well as those who will be honored for special achievement, is available via the James Beard website. FYI: that site gets so slammed on days like today you might want to follow the chatter via their Twitter feed or Facebook page. And a drum-roll please! Representing Seattle at the Beard Awards are . . . Heavy medal: to be handed out in NYC in May. For Outstanding Restaurateur: Tom Douglas. His competition? Bruce and Eric Bromberg, Pat Kuleto, Richard Melman, Phil Suarez. For Outstanding Service: Canlis. Its competition? 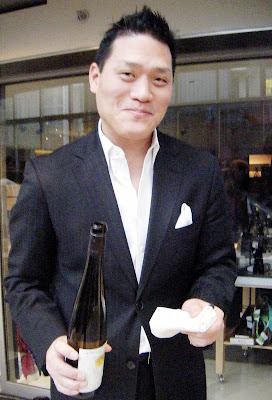 Emeril’s, La Grenouille, Per Se and Topolobampo. For Best Chef Northwest: Matt Dillon and Ethan Stowell. Their competition? Portland’s Christopher Israel (Gruner), Andy Ricker (Pok Pok) and Cathy Whims (Nostrana). And whoa! Check this out! A special James Beard Foundation Humanitarian of the Year award will be presented to FareStart, for the Seattle organization’s vast contribution to the food community. Tom Douglas — a longtime FareStart supporter — will make the presentation. “The Humanitarian awards recognize passion, inspiration, and a commitment to doing good work that go beyond any individual’s contribution,” explains Beard Foundation president Susan Ungaro. “FareStart’s dedicated mission and tireless efforts have created a national platform that provides much-needed opportunities for so many people and raises awareness about the plight of homelessness.” FareStart’s culinary job-training and placement program has been a local treasure for nearly 20 years. It’s now sharing its successful model nationwide through its newly established Catalyst Kitchens via a network of non-profits. For articles in Saveur magazine on cooking, recipes or instruction: Seattle freelance writer Sara Dickerman, together with writers Harris Salat and Lonnee Hamilton. Their competition is Amy Thiel (Minneapolis Star Tribune) and Cassandra Vires (Feast Magazine). 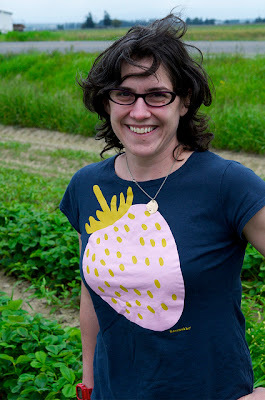 Sara Dickerman, outstanding in the field of journalism, is a finalist for this Saveur story. And though she’s not here yet, Hanna Raskin wil be replacing Jason Sheehan as the Seattle Weekly’s food critic next month. Hanna is currently at the Weekly’s sister-paper, the Dallas Observer, whose “City of Ate” blog (which she oversees) got a nomination today in the Group Food Blog category. Their competition? The Epi-Log and Grub Street New York. Good luck Hanna (and everyone else!). I’d run your photo — as other bloggers have done before me — but I won’t. And Jason? Best of luck with your new job at Philadelphia magazine, my hometown glossy. Give my regards to Broad Street.